We make every effort to ensure our patients’ comfort, but we understand that some children are anxious about dental visits. Additionally, they often find it difficult to hold still for long periods of time during precise procedures. In these instances, sedation can be extremely beneficial. 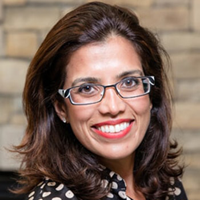 Dr. Sona and her team at Sona J. Isharani, DDS in Greensboro always make safety a priority. The most obvious reason for choosing sedation dentistry is anxiety. 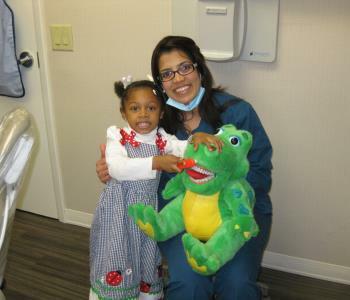 Many children and adults, suffer from dental phobias that can be overwhelming. 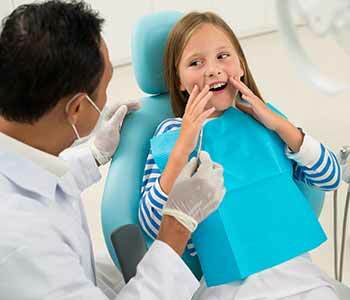 This is especially likely with children who have had a negative dental experience, which is why we take great care to avoid frightening or intimidating our young patients. However, sometimes children experience anxiety simply because they are too young to fully understand the situation. Whatever the reason, sedation can be a great help. Sedation may also be used for a particularly lengthy or complex procedure. Even adults sometimes have trouble sitting still for extended periods. With children, it can be even more challenging. Sedation can help time seem to pass more quickly, and make apprehension fade away. Nitrous oxide, also called laughing gas, is a mild inhaled sedative. It is administered as “flavored air” and helps the child relax. Oral sedation is a prescription medication that makes the child relaxed and drowsy. It is helpful for very young children and those with anxiety. General anesthesia is the strongest level of sedation, and allows the child to sleep soundly through the procedure. This is the same type of sedation that would be used for a surgery such as removing tonsils. We offer general anesthesia here in our office, or at a surgical center. 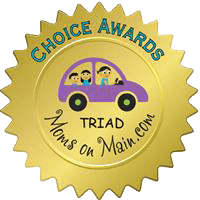 For most parents, the primary concern is safety. This is also our number one priority. Our professional training and expertise, allow us to recommend sedation options that suite your child’s individual situation best and we take steps to ensure that any medication prescribed is appropriate for your child. We will thoroughly explain any risks and side effects associated with the recommended medication. It is important to provide a complete medical history, including any prescription or over-the-counter medicines that your child takes. This information is crucial, to avoid adverse reactions and drug interactions. Let us take the fear out of dentistry. 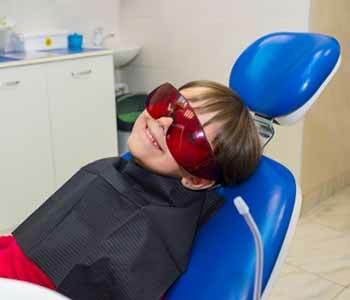 When you feel confident knowing that your child can relax in the dental chair, then you can relax as well. 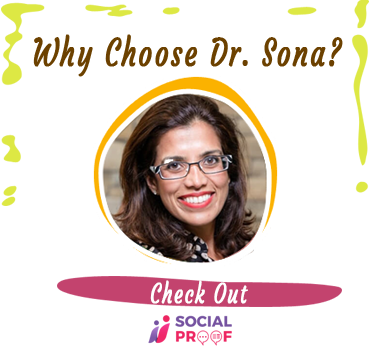 Call Sona J. Isharani, DDS at (336) 804-8668 and schedule an appointment with Dr. Sona. Call this toll-free number (844) 334 1060 and record your audio review now! Collins P My 2 1/2 year old would not open up her mouth or have anyone look at her teeth until we saw Dr. Sona. She LOVED it and is still talking about her pink tooth crown from her check-up!